Our one-off cleaning goes that little bit further to get your home or office in Westminster looking at its best. One-Off Cleaning are specialists in this area and have put together the perfect cleaning package that will get any place looking incredible again. A dirty or untidy home can really affect your mood or productivity levels and it’s surprising how you feel after you have had a wardrobe clean out, or tidy up. 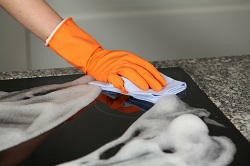 Our one-off clean does exactly that but for your whole home or office. It’s a complete weight off your mind after an abode that’s not quite up to scratch. A good deep clean can take anything from a few hours up to a whole day and we know that’s not how you want to be spending your free time. Sometimes it’s best to call in the professionals and we are just that. Our helpful staff have years of experience in one-off cleaning and can wait to get to work on your residential or commercial space in SW1 area. Let us tell you more about what cleaning services we have to offer by calling us today on 020 3397 3282. 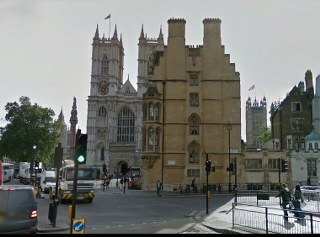 Proudly sitting in the shadow of Westminster Abby, this Central London area is located in the London Borough of Westminster itself. Westminster attracts many visitors to the area with its high concentration of historic landmarks including, Buckingham Palace and Westminster Cathedral. Tube links include St James Park and Westminster with the Jubilee, Circle and District lines taking you across London with easy access to the interchanges. Despite being in the center of it all, the area boasts many green spaces such as Green Park and St James Park with its lakes and bird life. Westminster School is a popular and predominate public school in the area. Westminster is surprisingly residential with many of its large buildings being made up of residential blocks, with offices and shops also in the area. There are plenty of cafes, bars and effortless access to facilities of the neighboring areas of Pimlico and Piccadilly. Close proximity to London Waterloo and Victoria stations provide easy routes to places out of London and further afield from this convenient area nestled comfortably on the north bank of the River Thames. Our one-off cleaning service can be perfect for end of tenancy, a big office clean, an emergency, or after a party. We can get things back to normal after you have been away for a while and that has allowed the dust to settle. We cover SW1, W1 and WC1 and our friendly local staff make sure that you get your one-off cleaning done at a budget that suits you. Take the hard work out of scrubbing and bring in the people who have the knowhow and the cleaning equipment to get the job done. One-Off Cleaning can provide the supplies that we need to get your home back into shape and we use safe, non-toxic cleaning methods, so that you can relax and unwind in our home as soon as we are gone. We won’t keep your home or office out of action for long as we understand the importance of your space and our years of working with local customers means we know what you need. Don’t hesitate to get in touch with a helpful member of our team on 020 3397 3282 we cover most cleaning tasks in Westminster and are waiting to tell you how we can help you and your home.